The new Propatech VCI T1500-T3000 technology and Propasec desiccants, a winning combination against corrosion! Protection against corrosion has always been one of Propagroup's missions, always looking for new and highly performing technologies. Propatech VCI T1500 and T3000 are the latest technological anticorrosive films created by the Propagroup research laboratories. Unlike traditional anticorrosive VCI films their distinguishing features are very high mechanical resistance and low permeability to water vapour. And to further increase corrosion protection in effectiveness and durability, Propasec desiccants are the ideal partner for the VCI T1500 and T3000 films. 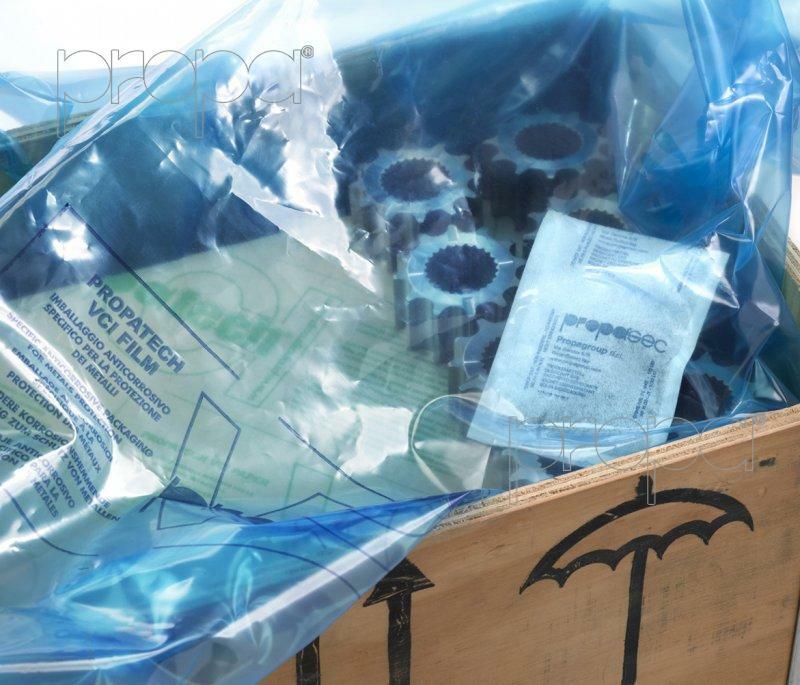 In fact, Propasec bags are the most effective method to protect packaging from the dangerous dew point which causes condensation. Propasec desiccants are made of natural raw materials which guarantee high absorption, and the fabrics they are made of are carefully chosen to give the bags maximum resistance. Using Propasec desiccant bags with Propatech VCI T1500-T3000 films, allows to create a packaging able to effectively and safely protect metal products from corrosion for a long time.